IWTYAL 174: Should I rely on Google Translate? Good morning everybody, welcome back to the podcast. On today's episode, we're going to be talking about Google Translate. Is it useful? Is it beneficial for developing fluency? All of these questions, which you might be able to predict my answer. Nevertheless, it's a very interesting question. Before we get into that, I'd like to thank the sponsors of the show, they are called Italki. 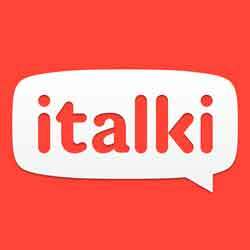 Italki is a place where you can find language teachers online for a very affordable price, and if you'd like to get a free lesson, you can go to IwillTeachYouALanguage.com/freelesson. Let's hear today's question from Yuta. Hello, Olly. This is Yuta from Japan, long time listener of the podcast. Thank you very much for doing such great work. You have inspired me a lot for learning English initially, and I have been working on my French for two months, using Fantastic that you recommended on your website. It's been great. It's been fantastic, I love it. I also started using HelloTalk to use French in actual conversation, but I found myself using too much Google translation. My question is, is it still helping that I have a conversation in French on a regular basis even though I have been relying too much on Google translation? Thanks a lot. Okay, Yuta, thank you very much for your question, I really like this. I think we're going to have to pick this apart a bit, because there are quite a few things going on. For those of you who aren't familiar, let's just recap the tools that you mentioned. So, you've been learning French with Fantastic, which is great. I did a big review of that one on my website, and I'll put a link to that in the show notes as well. Really pleased to hear you've been enjoying that. You've been practicing your French using HelloTalk, which is a great app, and I'll put a link to that in the show notes as well. Your question is whether or not practicing French on HelloTalk using Google Translate to help you say stuff is beneficial or not. So let's break this down. The first thing to say is obviously that any kind of practice is really good. Now, on HelloTalk you are meeting people, you are practicing with them and you're their language, so that is great. For you though, Yuta, because you already speak very good English, the question really is how can you learn to speak French as well as you speak English. I think the first thing I would ask you is do you remember when you learned English? How did you get the fluency that you've got? I used to live in Japan, and I spent some time teaching in Japanese schools, and I can tell you that most Japanese people do not speak English as well as you do. So, I think you've done something different. I don't know whether you've lived abroad, or whether you have got an English girlfriend, I don't know what it is, but you have done more than most people. So, I would send the question back to you and ask you, how did you develop your fluency in English? There's only one way to do it, which is to do a lot of speaking. So, you have been speaking a lot of English. I don't know where, but you've been doing it somehow. You're in a good position, Yuta, because you have the experience of actually developing fluency in a foreign language. I think you would probably know deep down with your French whether or not using HelloTalk is giving that same experience. Let's talk about that, let's explore the idea of using HelloTalk, which is basically a texting chat app, with Google Translate to help you say what you want to say. Here's the problem, effective language learning is about learning to communicate within your means. Whether you are a beginner, intermediate or advanced, you have certain amounts of knowledge, in French in this case, and being an effective language learner means learning to communicate well with your existing knowledge. It's like my friend Richard always says in our workshops, “You can be fluent at all different levels of the spectrum. You can be fluent as a beginner, and you can be fluent as an advanced speaker”. What it means is you need to know how to use the few words you know very, very well. So, you can be a beginner and you can order food in a restaurant, and it can come across as very fluent. It's all about knowing how to use the stuff that you know. That requires awareness, it requires experience, it requires you to develop this knowledge yourself. The problem with Google Translate is that you stop relying on yourself, you kind of put the responsibility in the hands of someone else, or something else in this case. Every time that you don't know how to say something, rather than go through the struggle of trying to figure it out yourself and do what linguists would call negotiate meaning with the other person, which is trying to say something and they don't understand, you try again and all this stuff, you are kind of avoiding all that and just going directly to a machine to give you an answer. Now, this stops you, it hinders you developing fluency in the language, because you're not using your brain enough. It's perfectly fine not to know how to say something in a language. What's important is that you find another way to say it, and this is called paraphrasing. Paraphrasing is one of the key speaking skills, it's a micro skill of speaking and what it means is if you don't know how to say something, you figure out a way to say it. It's like you take a detour. If the road is blocked, you take another way, it's like a detour. You learn to do this by struggling, basically. By figuring out how to get your meaning across, even though you don't know the right words. Now, maybe you don't know the word sans-abri, which is the word for a homeless person in French. So, what do you do? Do you just go to Google Translate and type it in? Ideally, no, because you don't need that word, there's another way of saying it. Instead of saying, il y avait un sans-abri dans la rue you can say something like il y avait un mec qui habite dans la rue, there was a guy who lives on the street. From that, the other person understands. This is a key skill and it might be difficult, it might make you feel like you're kind of struggling, but this is how you learn to paraphrase. If you do this day after day, after day, after day, after day, then you get confident and good at it, that's where fluency comes from. Just like with your English, Yuta, when you don't know how to say something, I get the impression your English is strong enough that you can still express yourself, because you can say it in another way. What I'm trying to say here is that using Google Translate, while you may need it from time to time for certain key words, it basically stops you developing self sufficiency in the language. The other thing is that although HelloTalk can be very useful, it's only part of the language learning strategy. Continue doing that by all means, but I would encourage you to instead start devoting more time to live conversation; language exchanges, lessons, whatever it may be. You need to spend more time speaking French with real people. That's the way you're going to develop fluency. It is a different situation talking on HelloTalk and talking face-to-face. On HelloTalk, you can stop and look up a word and it doesn't matter, but when you're face-to-face with someone or on Skype or whatever, you don't want to stop and get the dictionary out, you have to keep talking to maintain the conversation. That's the skill. One of the things that I tend to do when I'm having these conversations is every time I come across something that's difficult or that I don't know, I'd simply make a quick note of that thing on paper and then come back to it and learn it later. That helps me to maintain the conversation. I'm always focusing, especially at this stage that you're probably at, Yuta, kind of low intermediate stage, my main priority is developing conversational fluency, so I keep the conversation going no matter what. That's how you get to that point of being able to speak with some confidence. Not perfectly, but with a kind of hint of fluency in there. I hope that's helpful for you. I just want to reiterate that I don't think it's a problem with the tools here. I think HelloTalk and Google Translate can both be very helpful in certain situations, but it's kind of a red herring. You need to focus on your speaking, and that's how you're going to develop the fluency that you're looking for. I hope that's helpful, Yuta, thanks so much for the question. If you would like to ask me a question, please go to IwillTeachYouALanguage.com/ask. At the end of every episode, I like to leave you with a resource of some kind on the topic of the show. I thought that I would point you today to a post I wrote some time ago that's been very, very popular. It's called Thirteen Ways To Beat Your Fear and Start Speaking Foreign Languages. This is for those of you who are listening and thinking, “Oh, I know I should be speaking with people, but it's so scary”, or “I don't know how to do it”. Go and read this blog post, it will help you. It will help you get over your fear and get started. You can find a link to that blog post along with my reviews of HelloTalk and Fantastic, that Yuta mentioned, all in the show notes, which are at IWillTeachYouALanguage.com/episode174. We're approaching episode 200, it's quite exciting. I wonder what I'm going to do? It's coming up here in just a few weeks. What do you think? Should I do another big kind of round up thing where I get you guys to send in the lessons that you've learned in the last year or so? What do you think? Go and leave me a comment on the show notes and let me know what you think I should do for episode 200. Once again IwillTeachYouALanguage.com/episode174. Thank you so much for listening and I'll see you in the next episode of the podcast. Take care.